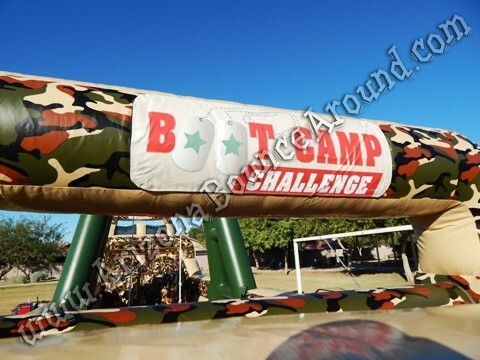 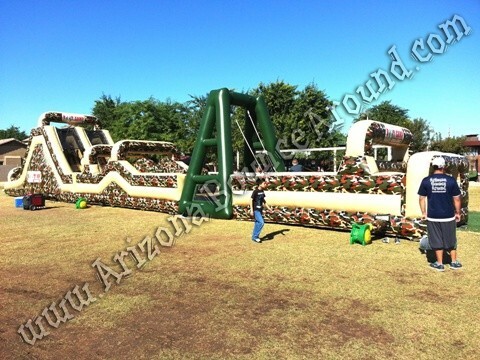 This military-themed Boot Camp Challenge obstacle course is so big and has so many elements to run thru. 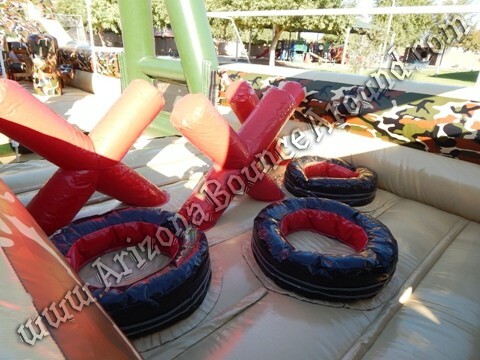 You start off by jumping thru hoops than over or under the log jam, thru the tires and "X barriers to the duel person rope swing. 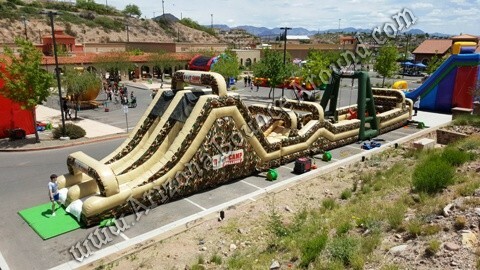 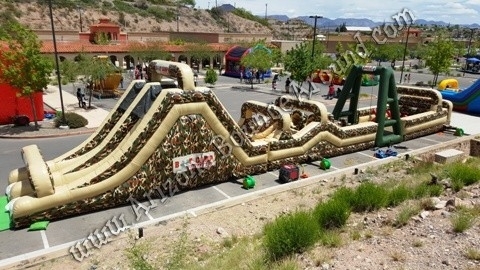 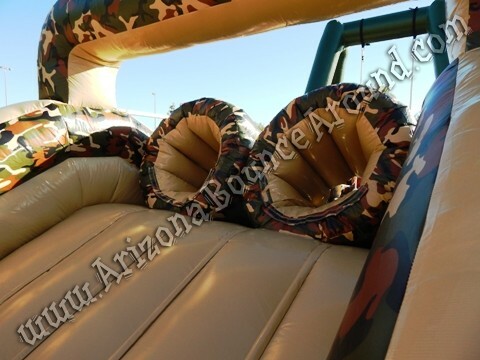 After that, you continue thru a series of inflatable pop-ups and land mines, through tunnels only to be faced with the bungee cords that look like laser beams. 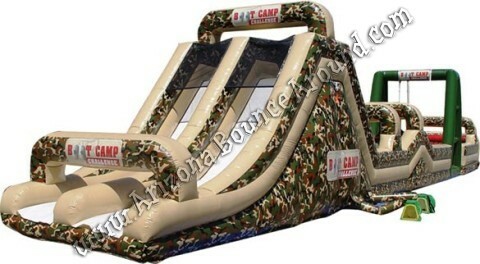 You're not done yet, now go through the arches and climb the rock wall then finally slide down the dual lane slide to see who the winner is. 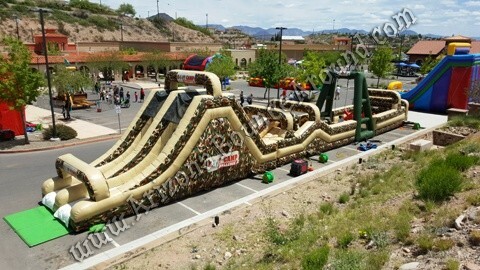 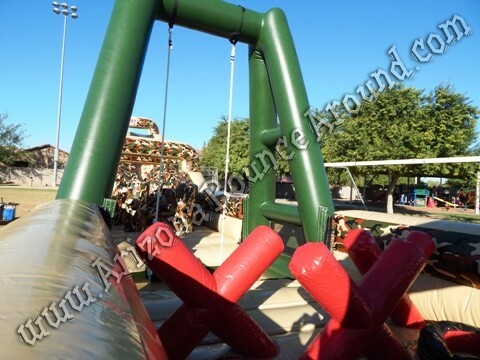 We have a huge selection of obstacle courses, challenging games, and activities for any type of events like our Wipeout Big Baller, Logrolling challenge and race tracks so don’t delay and start planning your next team building activities today with Gravity Play Events, the leader in hi-energy games & fun activities for kids and adults of all ages. 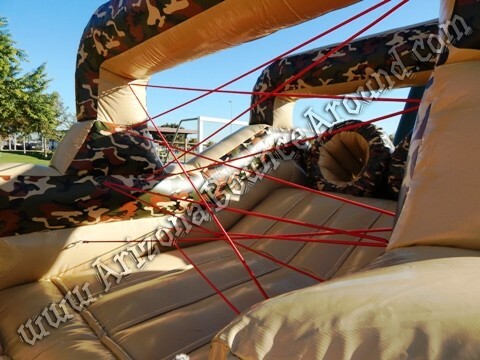 If you want to go even crazier than you can freefall 28 feet down on our stunt jumping airbag. 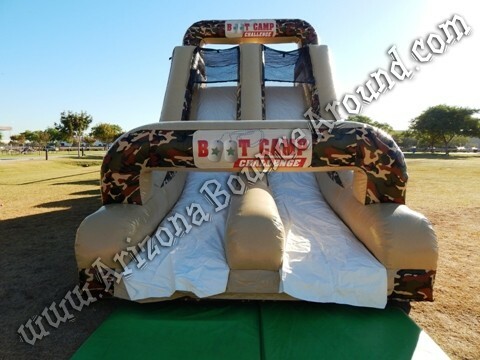 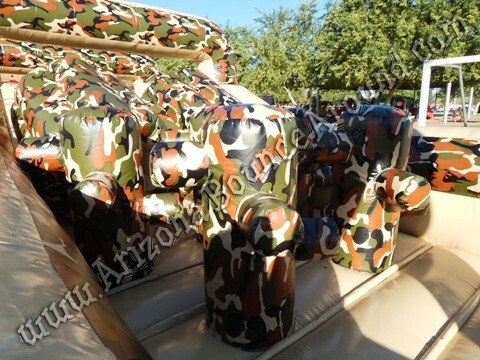 Click on the photo below to see this thing in action and for more details.